This was a great question Bone asked. This was not the main focus of Bone though. 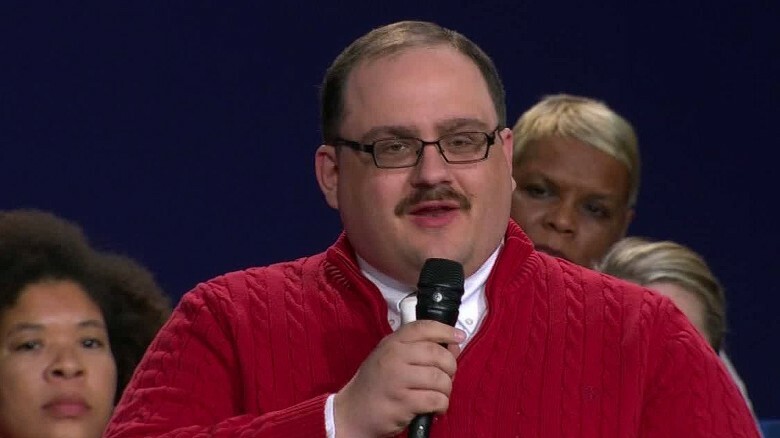 For readers that do not know who Ken Bone is, you might be asking, who is Ken Bone? Why has he become so famous? What he did was remind people of what they want from their debates. Americans want an honest discussion of policy rather than a debate where all they do is attack each other. Not only did this remind us of what we want the debates to be about, but he was also pretty funny looking. He wore a red sweater which has been worn a lot more recently. When asked why he wore the red sweater instead of a nice suit, his answer was that he had a nice olive suit on and ready to go, but when he sat down in his car he split his pants. Therefore, he had to change his clothes and headed to the debate in a rush. The media and the American people seemingly could not get enough. After having an in depth conversation with senior Prep student, Jacob Labonte, he said, “I think Ken Bone is your typical good guy. In my opinion, he became famous because people are infatuated with unimportant issues instead of more pressing ones.” This really goes to show what people think about him in everyday life.